Your own home swimming pool... you imagine it, we can build it. Pool Pro Contractors, specializing in custom swimming pool installation for more than two decades, provides expert in-ground swimming pool construction services to your specifications. . . serving all of Northwest Indiana. 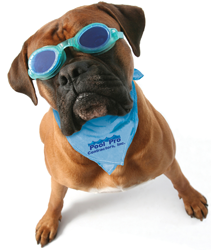 Not your average pool contractor, Pool Pro offers you unrivaled expertise and dedicated service to make your dream pool a reality, built to last for years of swimming pleasure! A family owned and operated business with offices and a retail store in Valparaiso, Indiana, the Pool Pro team prides itself on hands-on perfection of your custom in-ground swimming pool project, with attention to detail through every stage of construction, on-time completion, and the integrity to stand behind our work 100 percent to ensure your ongoing satisfaction and enjoyment. Call us today for an on-site survey and quotation for your custom in-ground swimming pool. We are happy to discuss your needs with you. Count on us to give you an honest evaluation of your site, expert advice, a fair price, a dependable turnaround time (typically under 1 month), and service that lasts. Already have a pool or spa? We carry a full line of products for your pool and spa needs. News: Pool Pro was the recipient of the United Aqua Group 2014 Award of Distinction on two pool projects. New Customers: Need to cool off? Get into your own pool this year! Start planning your backyard paradise now. Call to set up your on-site estimate for your dream pool: 219-548-5783.